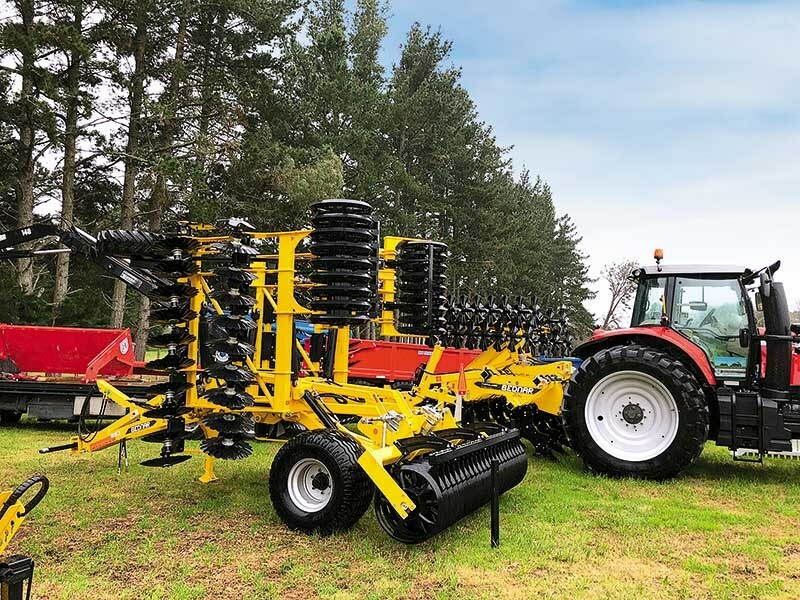 ground breaking 4.8-metre air tyne drill. 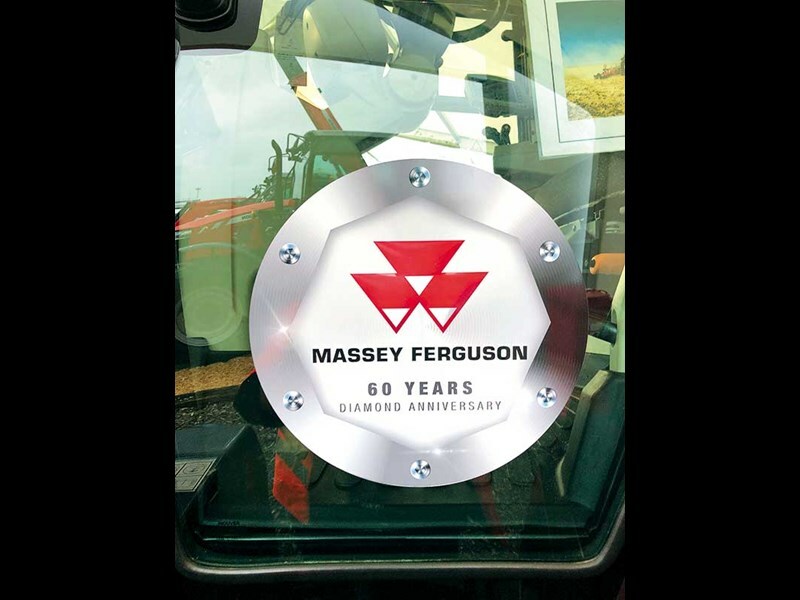 Celebrating 60 years in New Zealand, the Massey Ferguson site was beautifully set up in recognition of the brand’s progress and history. 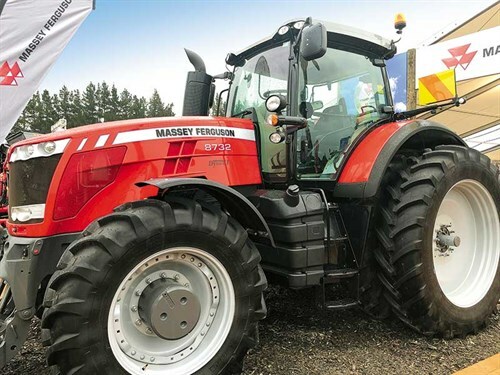 With a Massey Ferguson 35 on display alongside the new models, and a host of merchandise available, it was a fitting tribute to the iconic brand. 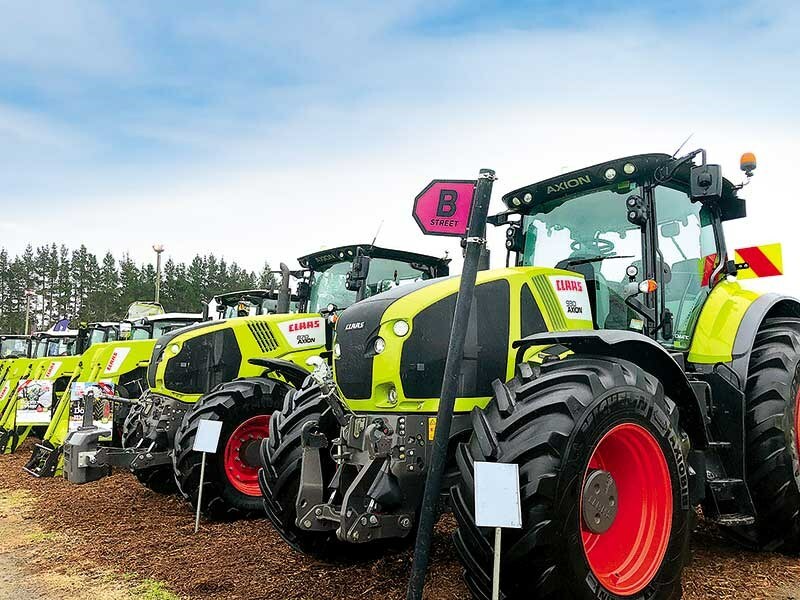 The eye-catching Fendt 1050 Vario was well drooled over at Fieldays. 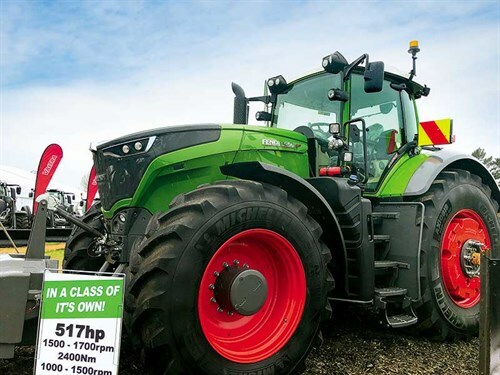 Boasting a massive 500hp, it is part of the Fendt 1000 Series (380–500 hp). 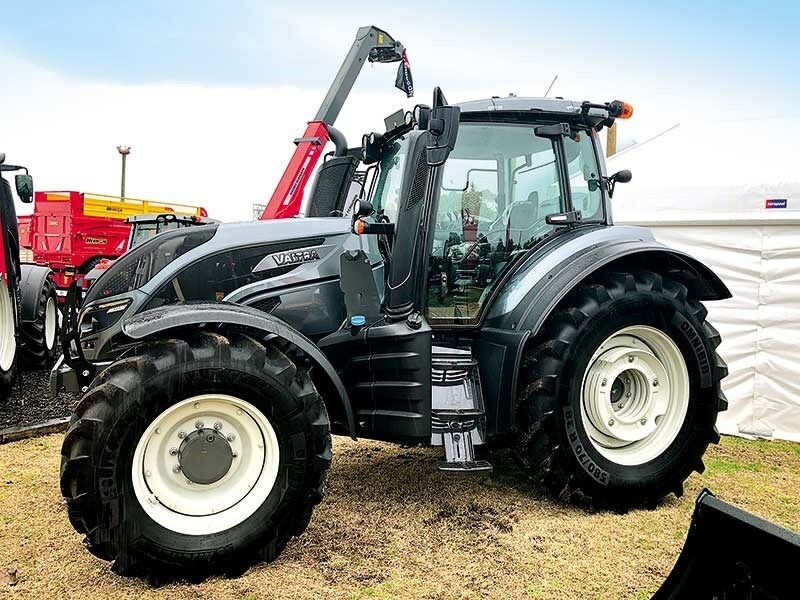 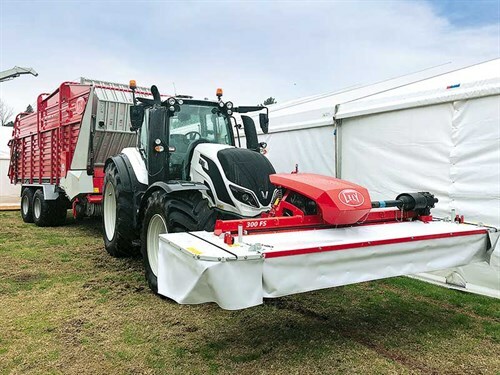 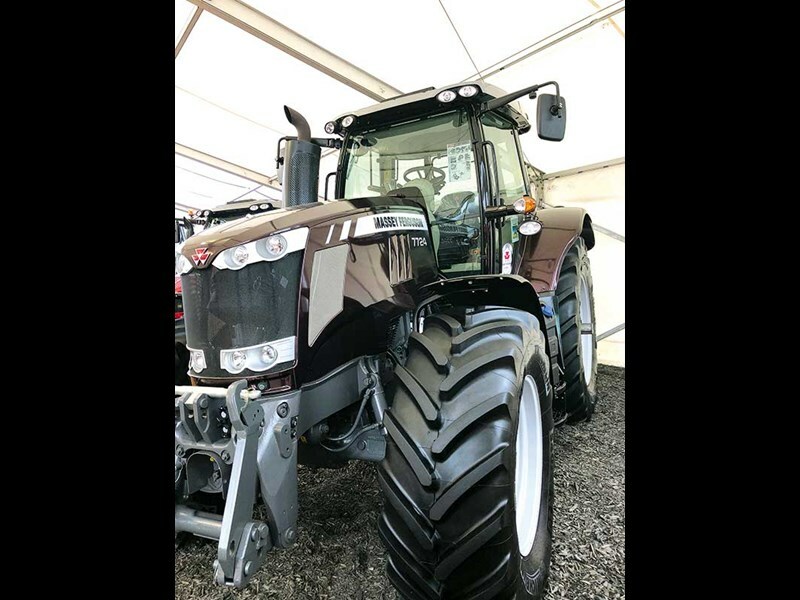 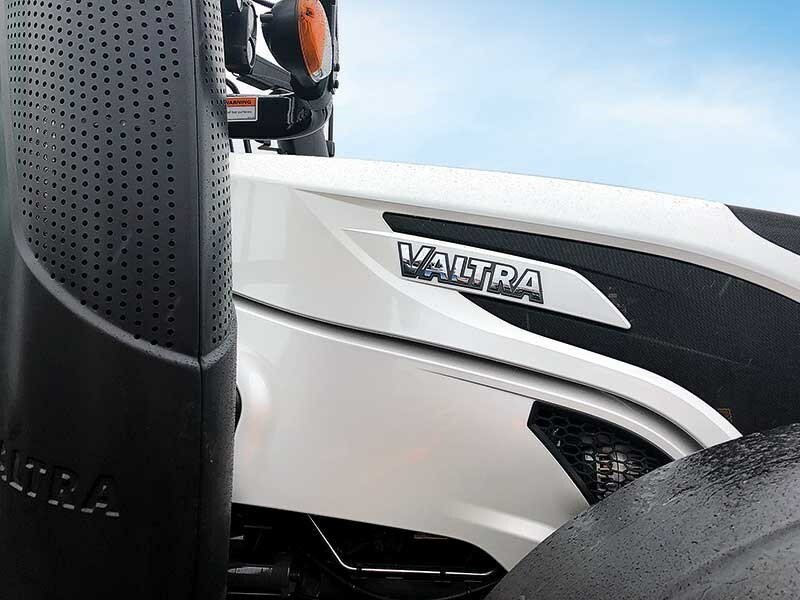 The new Valtra T4 Series was part of the AGCO line-up at this year’s Fieldays. 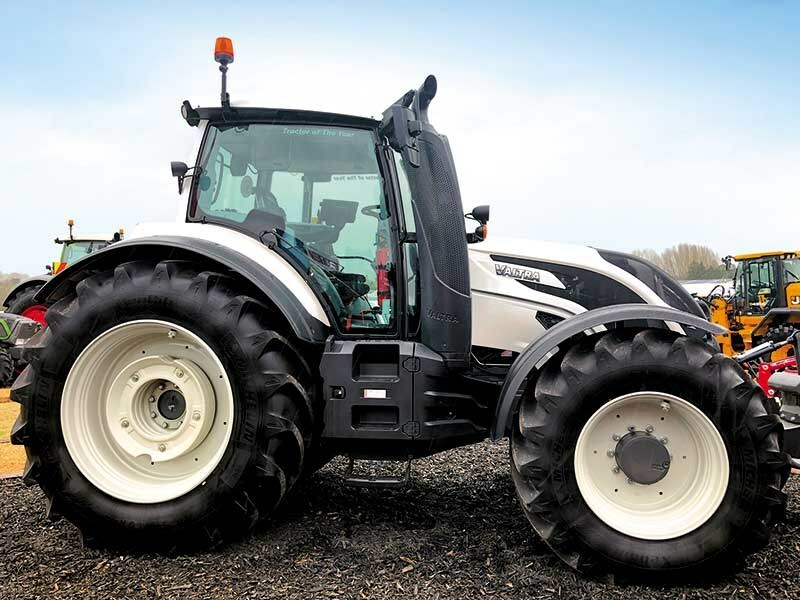 Offering six new models, the T4 series ranges from 155hp to 235hp and boasts a completely new design from the ground up. 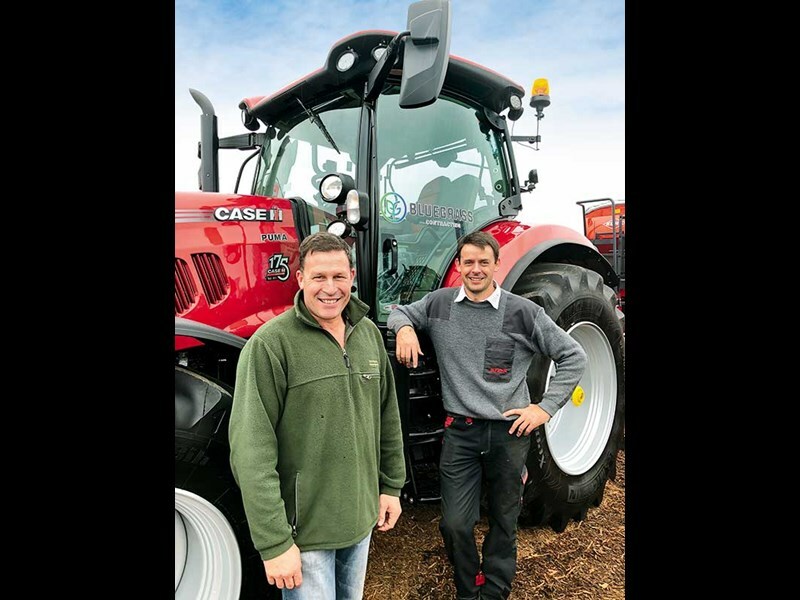 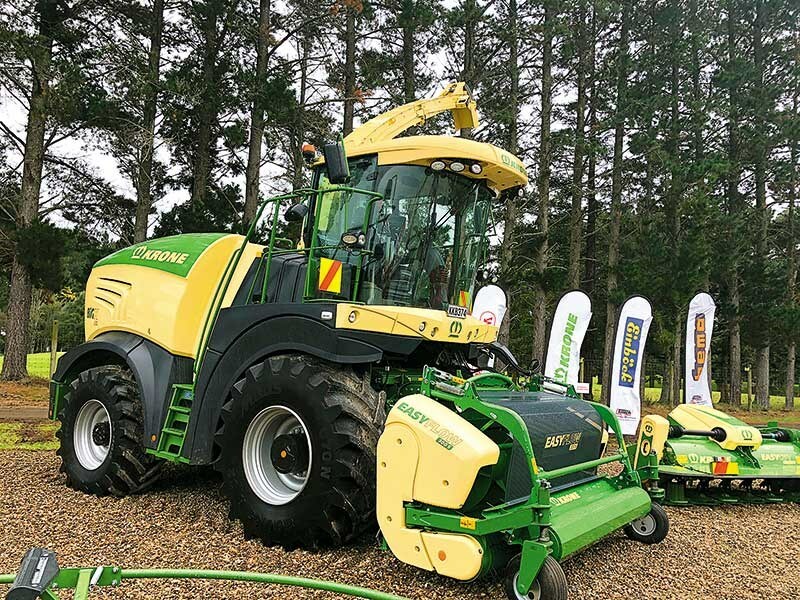 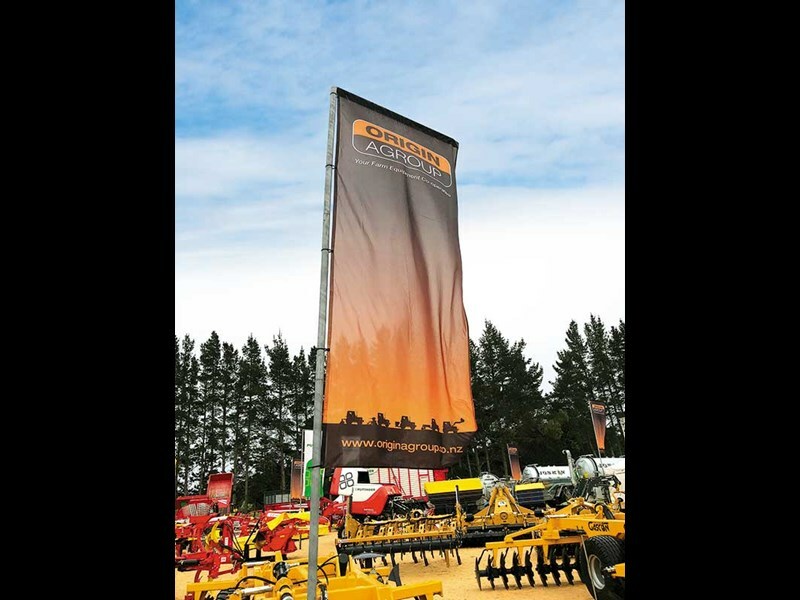 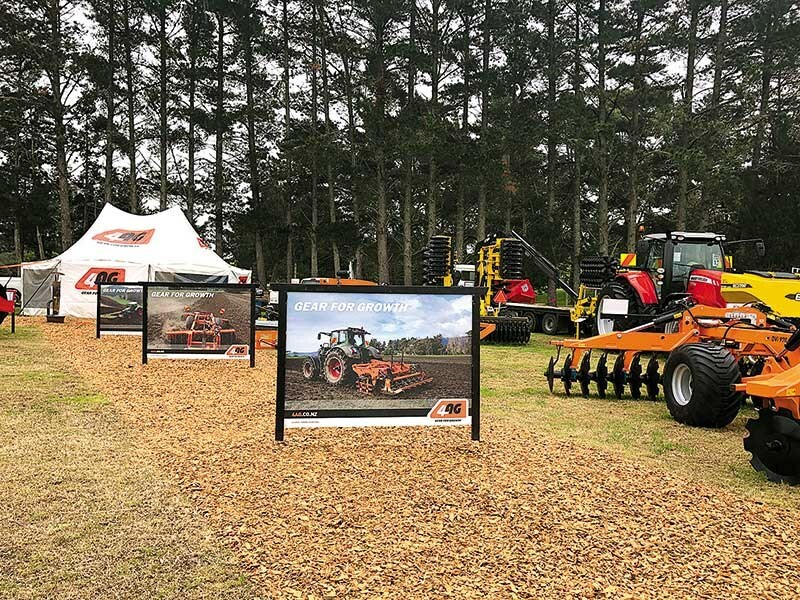 Farmchief is renowned for its range of hard-working agricultural machinery and this year was no exception. 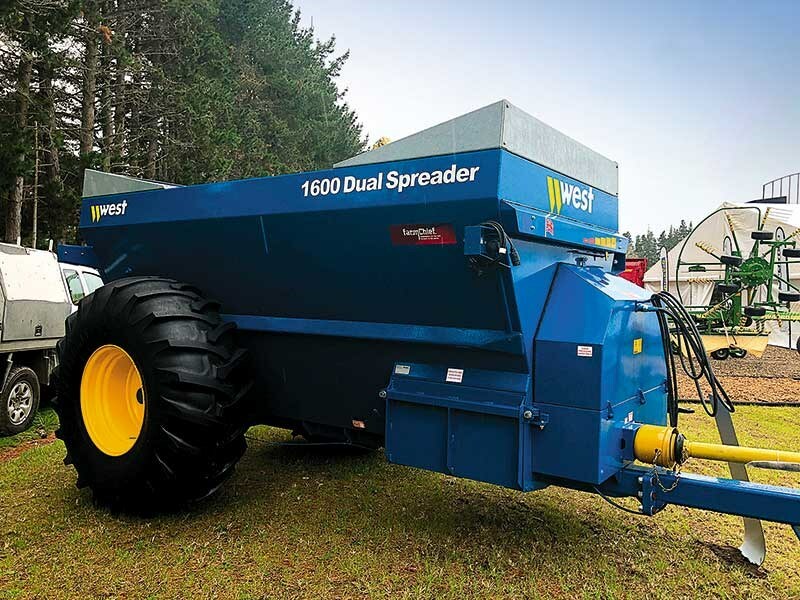 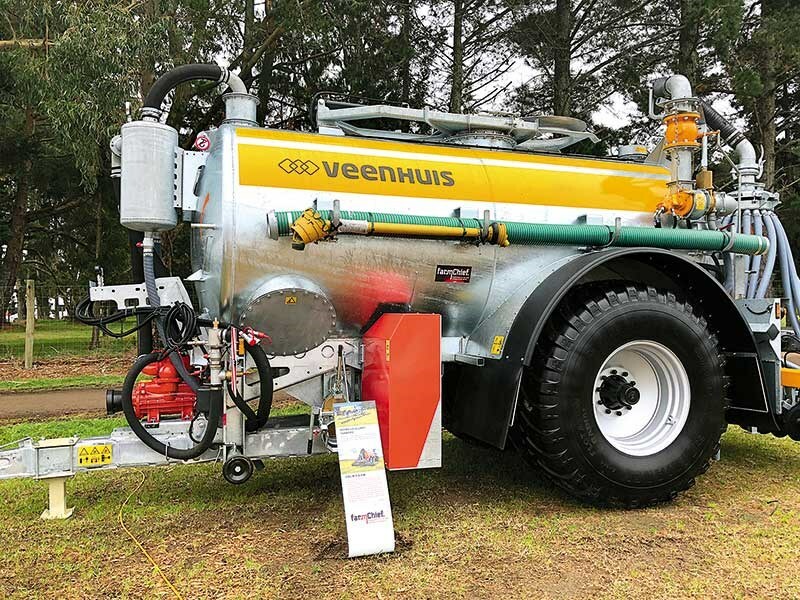 The impressive selection of brands includes Veenhuis slurry tankers, Falc power harrows, West spreaders, Express seed discs, and Airseeders. 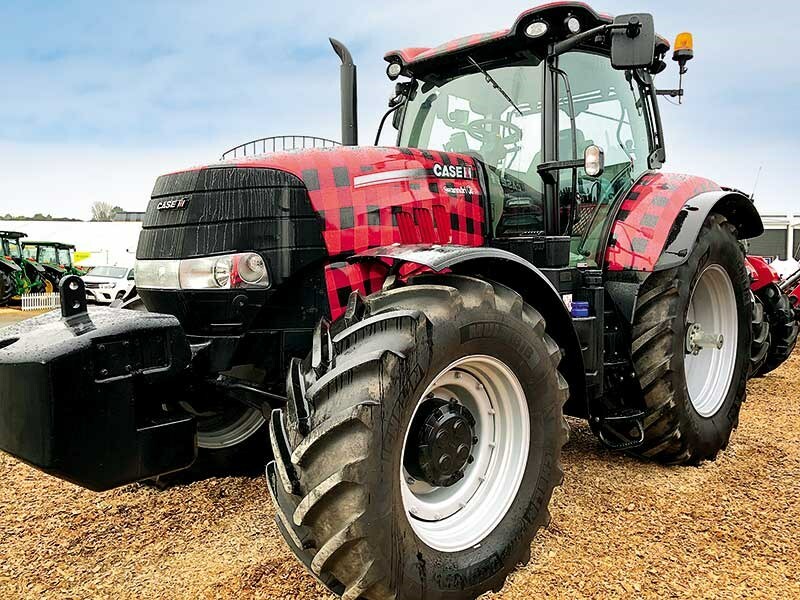 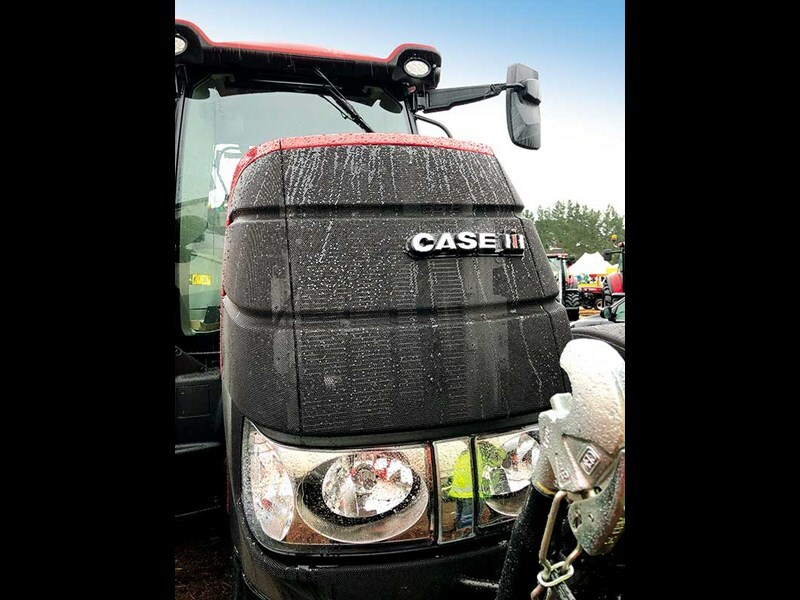 With a huge display of tractors and machinery on-site, the massive Case IH 175 was clearly the star of the show. 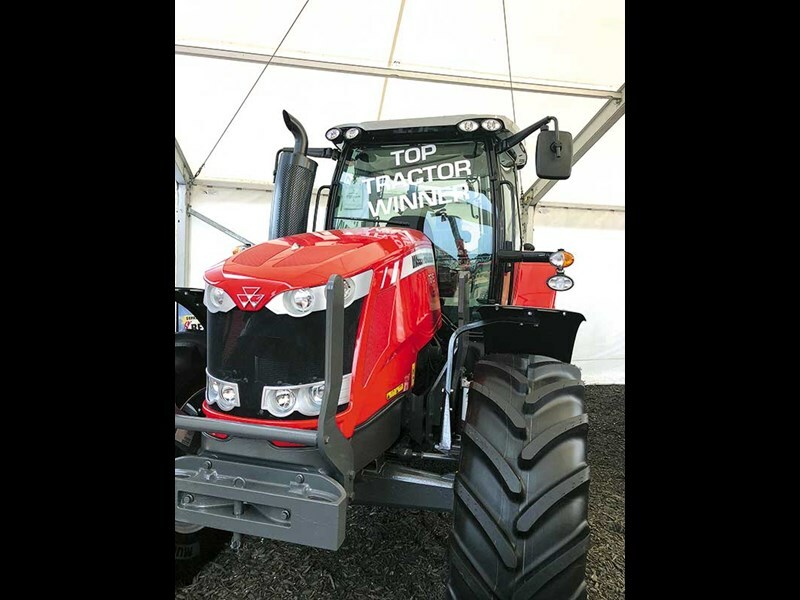 This limited edition model painted in Dodge Viper red is one of just nine in New Zealand. 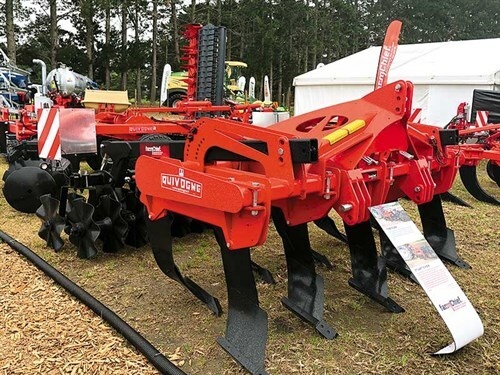 The remainder are in Europe where they were created to celebrate 175 years of Case IH. 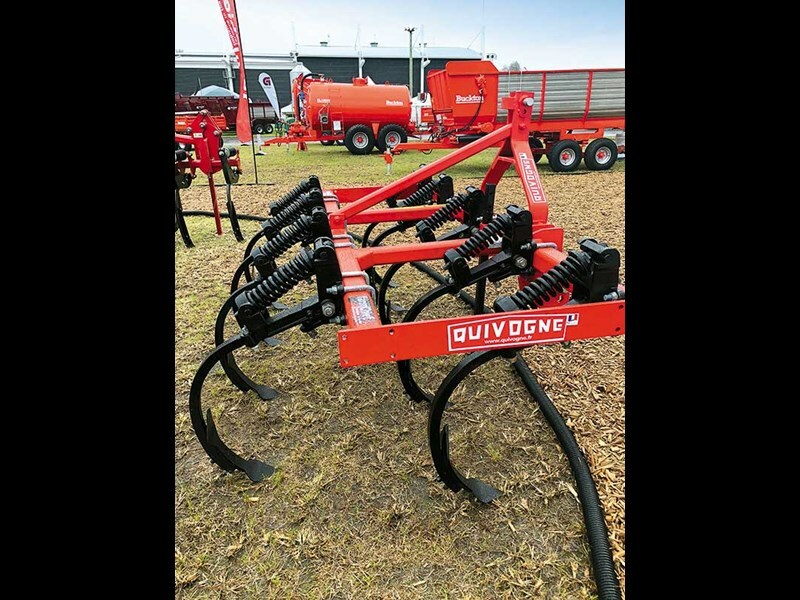 The Origin Ag site is always popular. 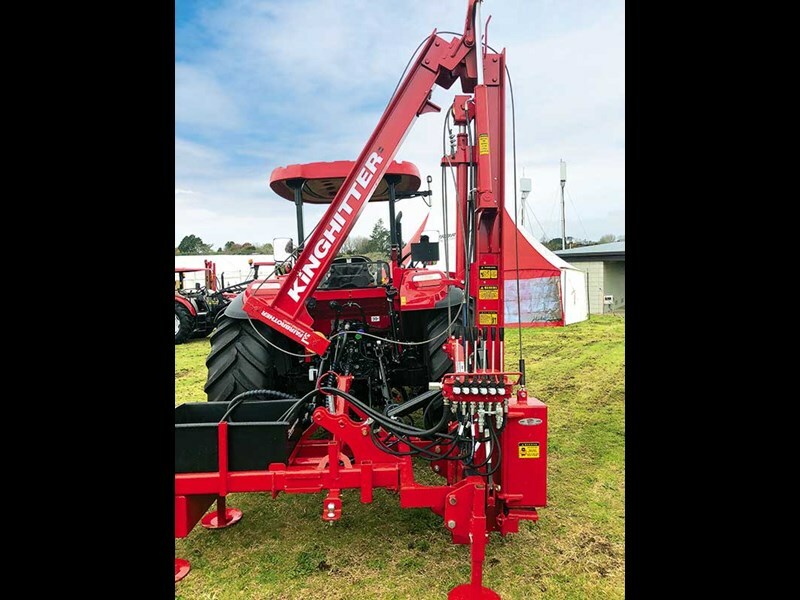 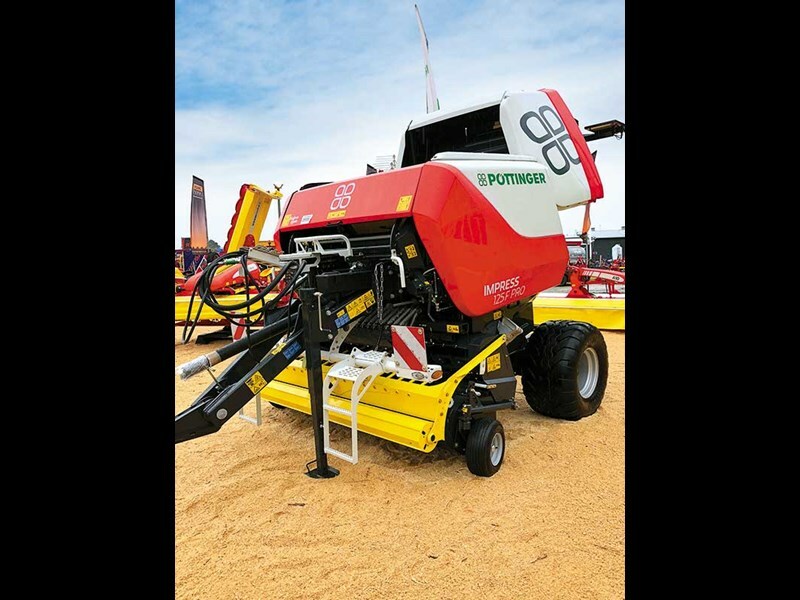 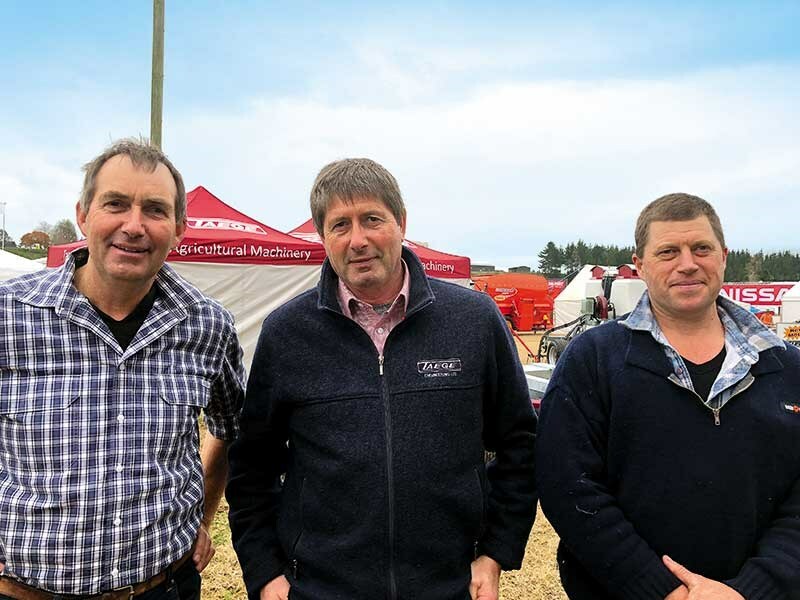 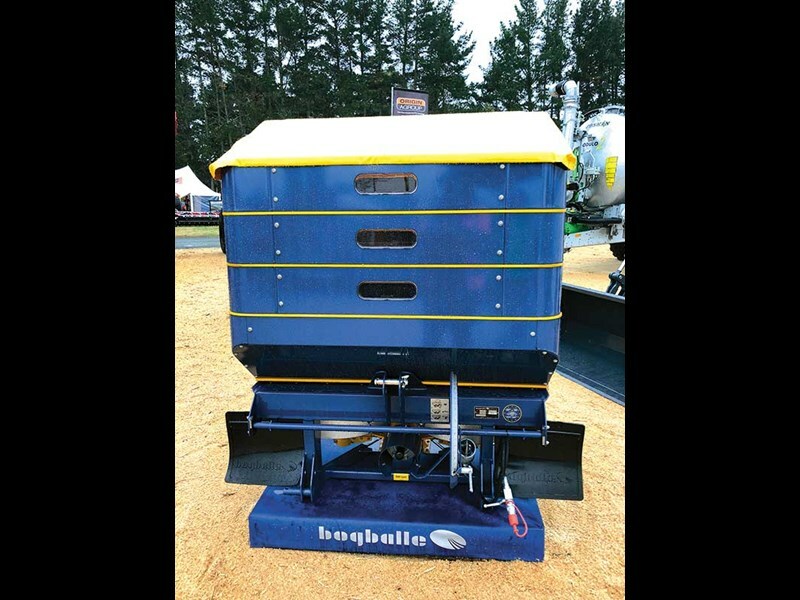 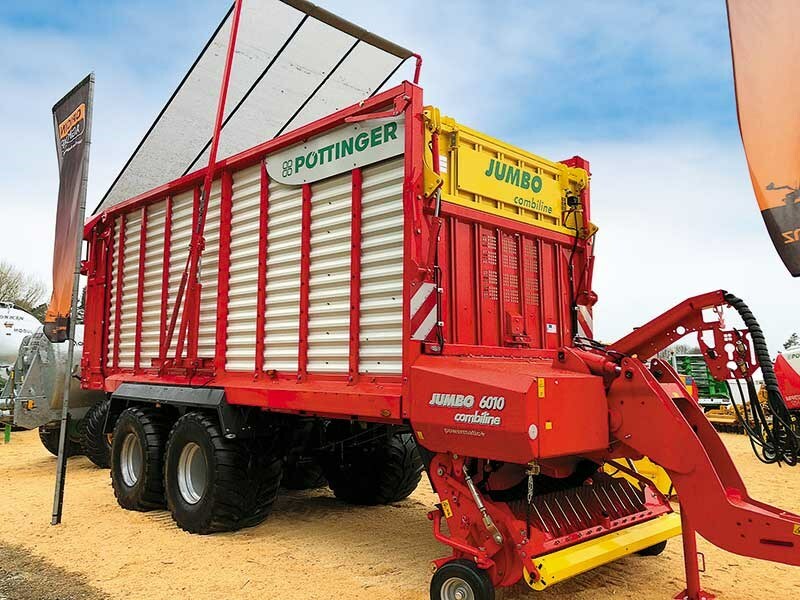 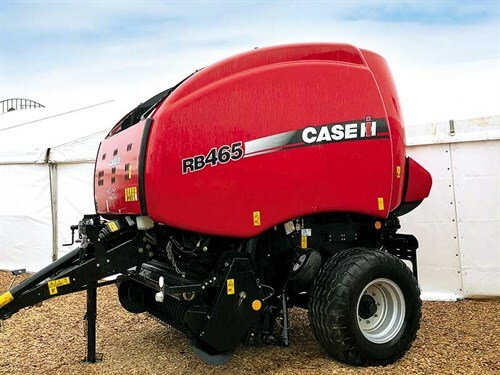 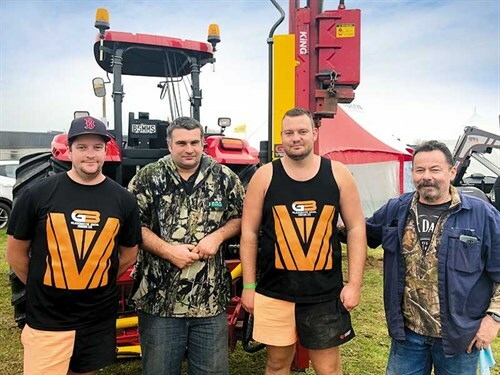 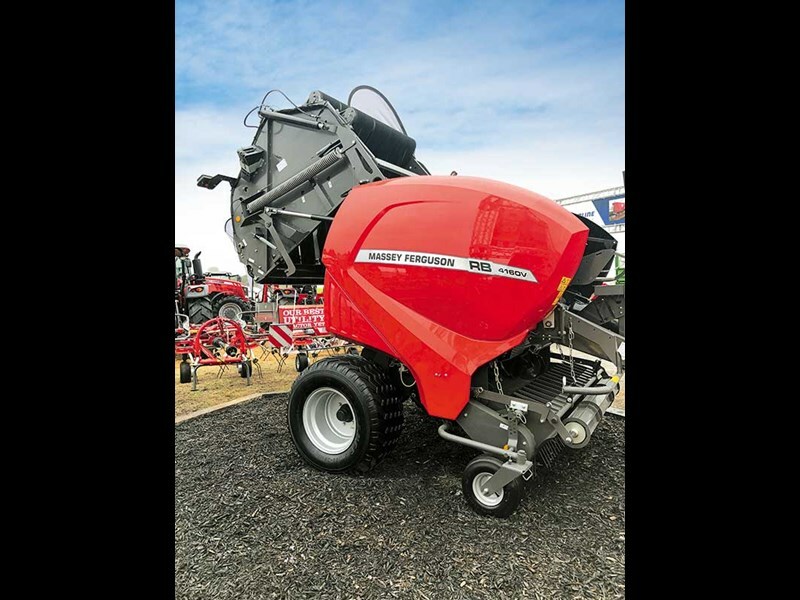 The brand is known for importing quality brands built to handle the most challenging New Zealand conditions, and this year, new to the market is the Pottinger ‘Impress’ Baler as well as products from brands such as Bogballe, Gascon, Alpego, Manip, and Joskin. 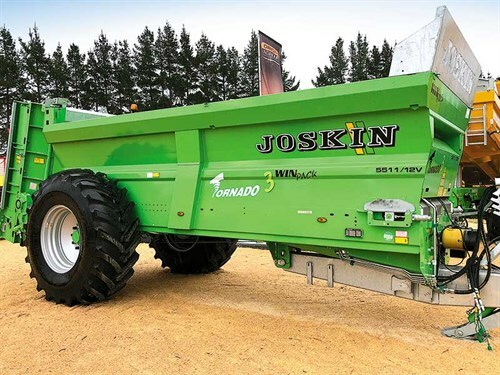 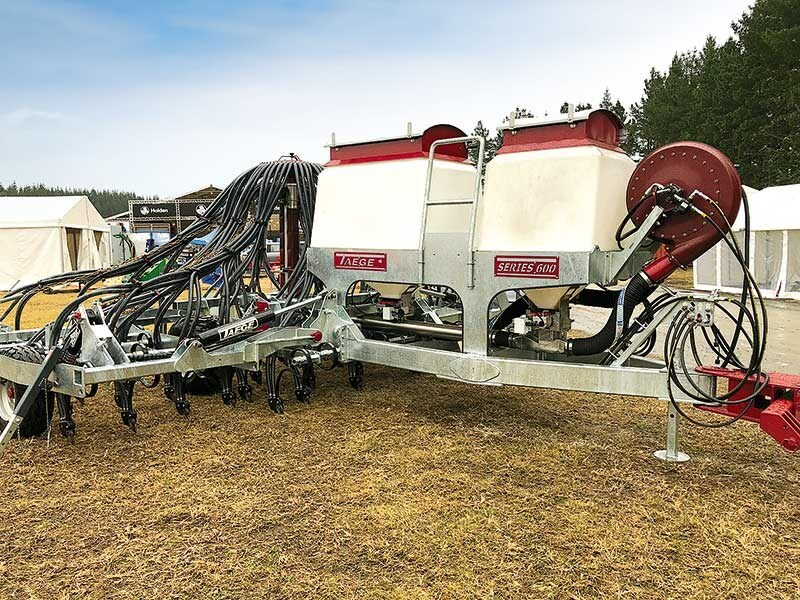 A full test review of the Joskin Modulo2 14000L with a 12-metre Penditwist spreading boom will feature in next month’s issue of Farm Trader. 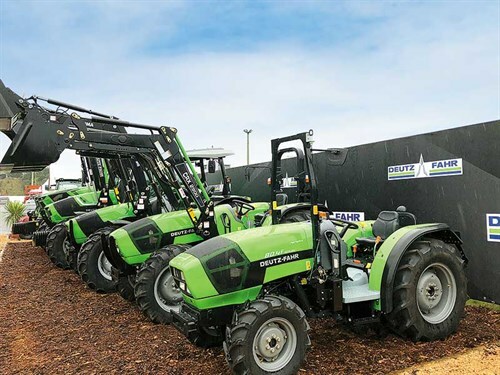 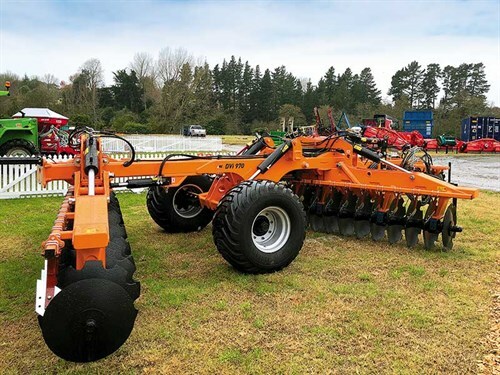 Star of the Power Farming site was the new Deutz-Fahr 6G Series (135–205hp),freshly arrived in New Zealand just in time to debut at Fieldays. 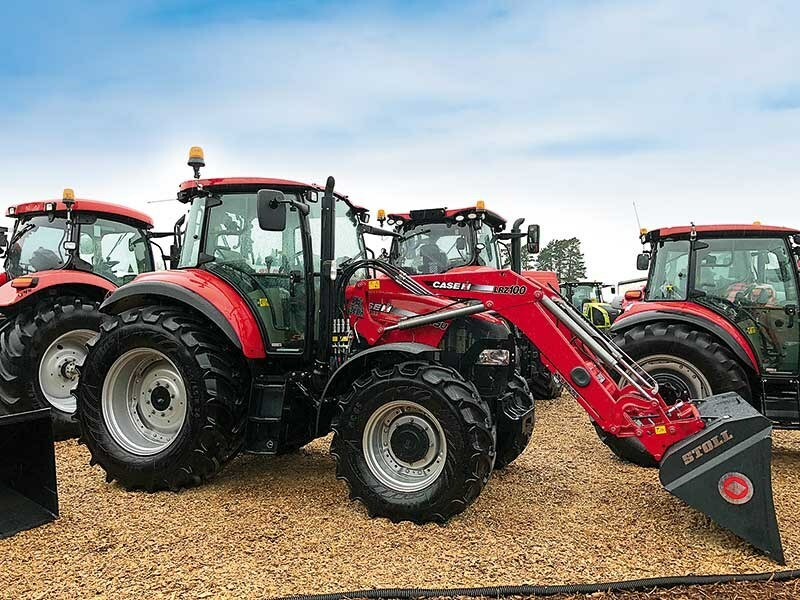 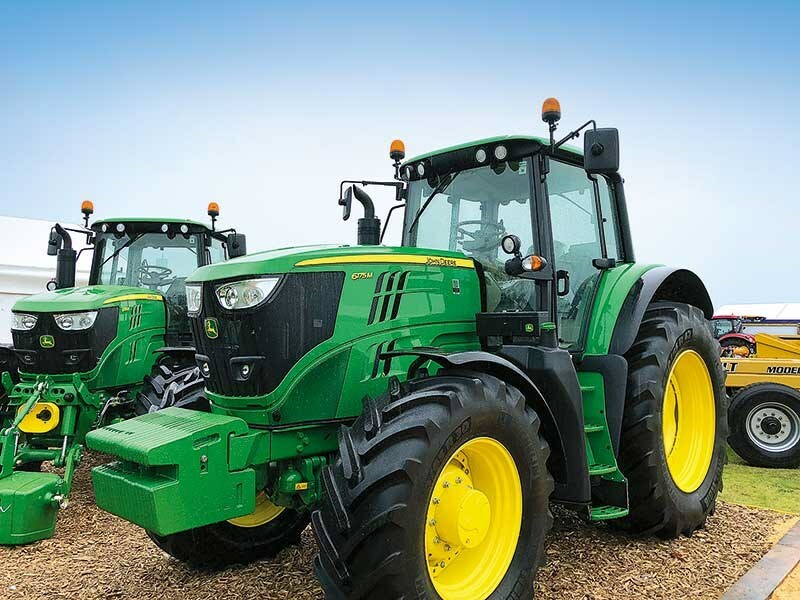 Power Farming director Brett Maber says the 6G series, with five models, is built for customers wanting a tractor that delivers outstanding performance at a competitive price. 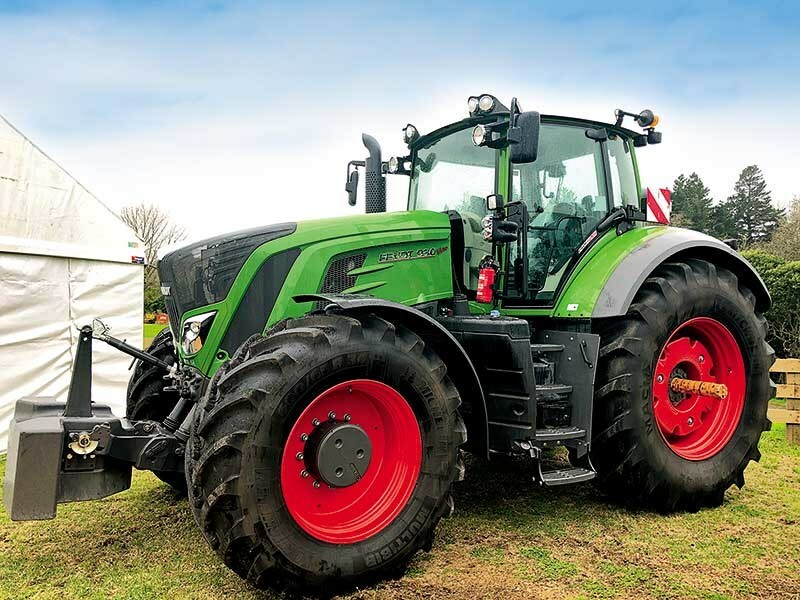 The six-cylinder Deutz engine doesn’t require AdBlue and is matched with the latest six stage power shift transmission from ZF, new Power Vision cab, and new-generation Deutz-Fahr styling. 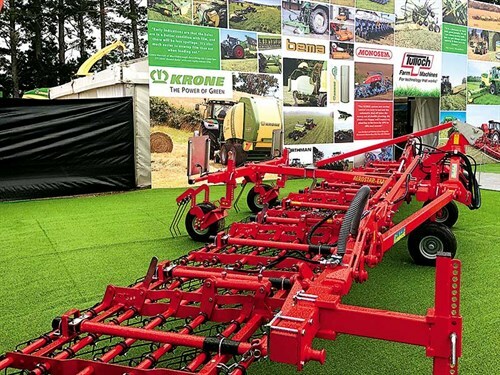 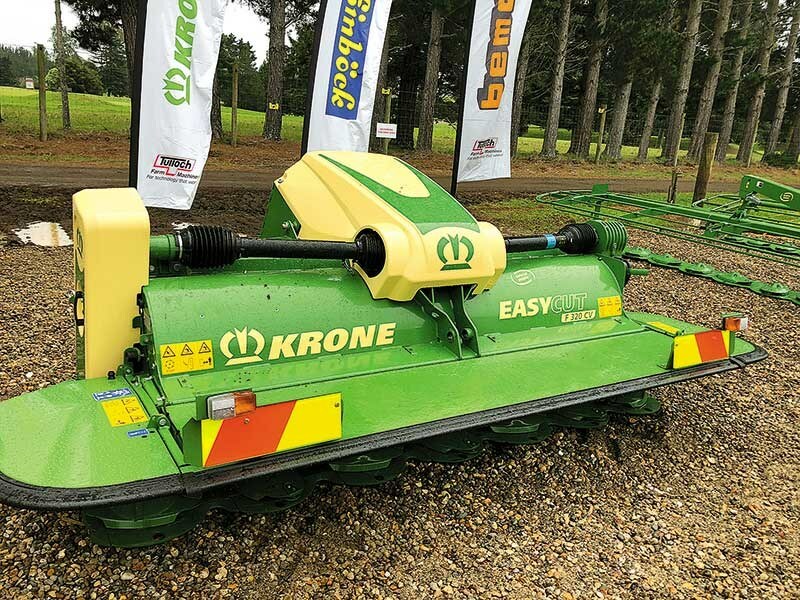 Cutting-edge technology was on display at the Tulloch site where visitors could see the new front-mounted mowers available from Krone and learn about the camera-guided system from Einbock, which allows precise inter-row weed control. 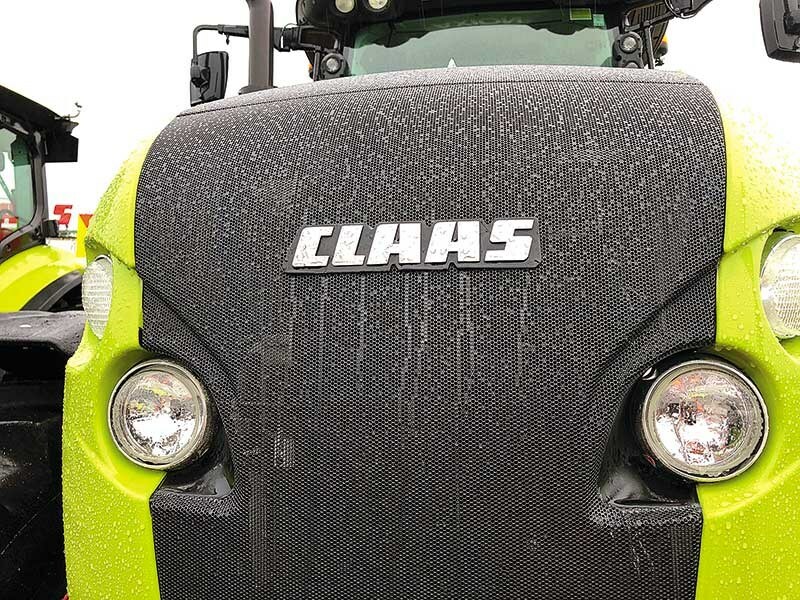 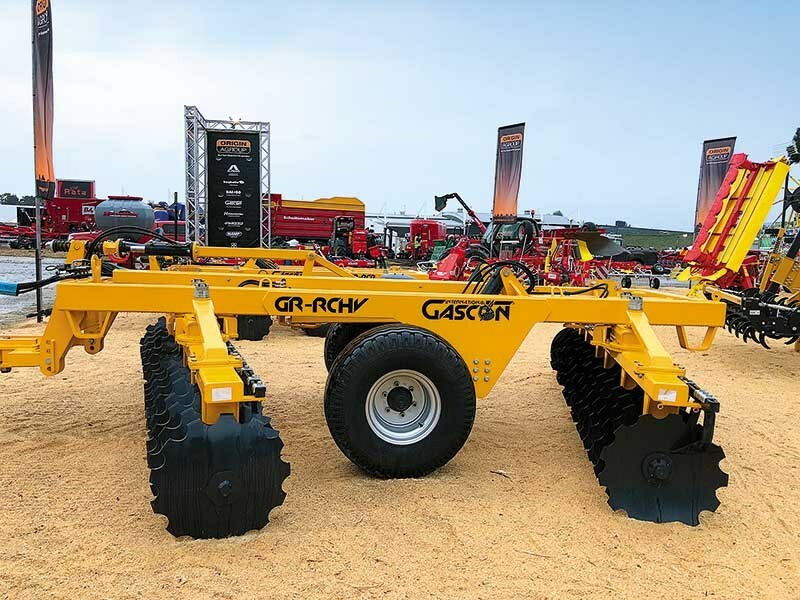 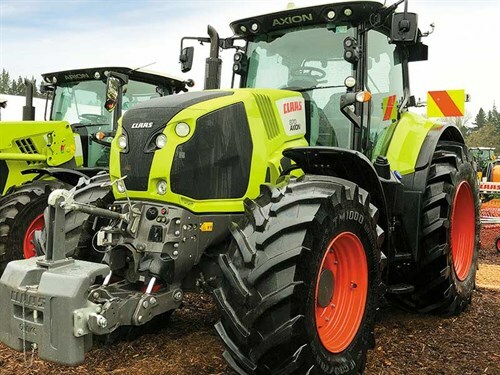 The Triolet Triomaster S and JCB Fastrac 8330 made their New Zealand debut at the Claas Harvest Centre site, which also featured the new Claas Arion 400 and 600 Series. 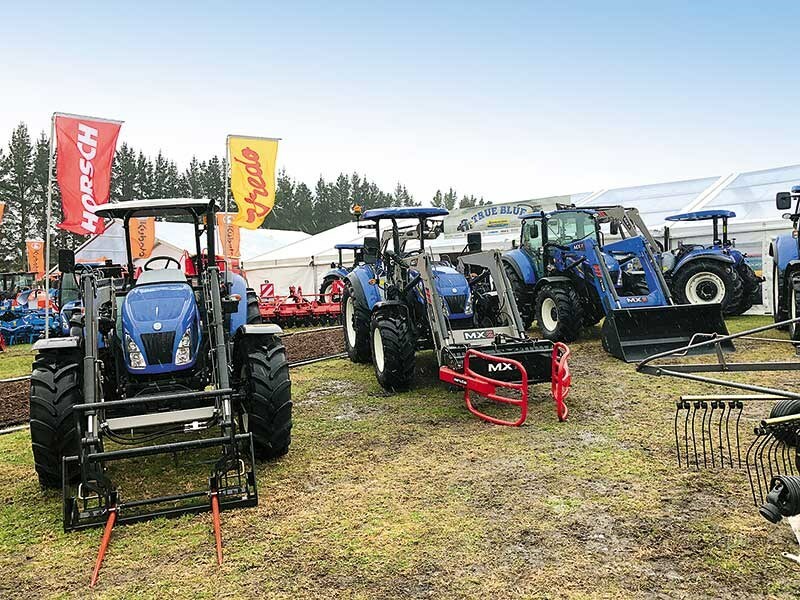 Alongside Amazone spreaders, sprayers, and cultivation equipment was a full range of Disco mowers and mower-conditioners, Volto tedders, and Liner rakes. 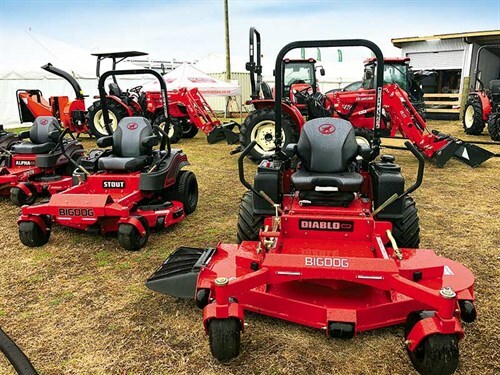 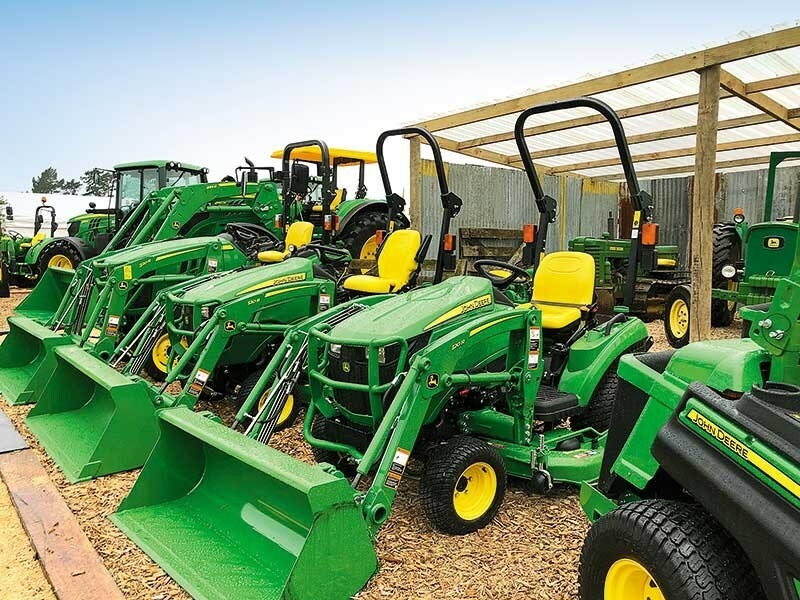 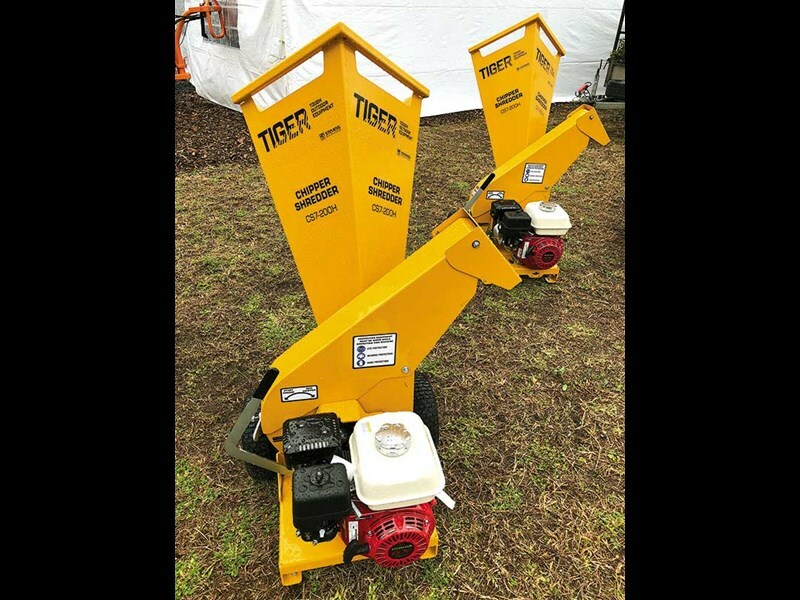 Everything required to keep a lifestyle property immaculate was on-site at Stevens Products, from the Branson range of tractors, including the K78, to Big Dog mowers and Tiger Chipper Shredders. 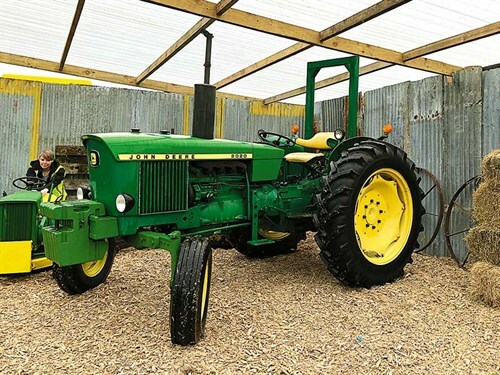 Loyal John Deere fans flocked to celebrate 100 years of John Deere, where the highlight was a John Deere 5055E being auctioned off for $1 reserve! 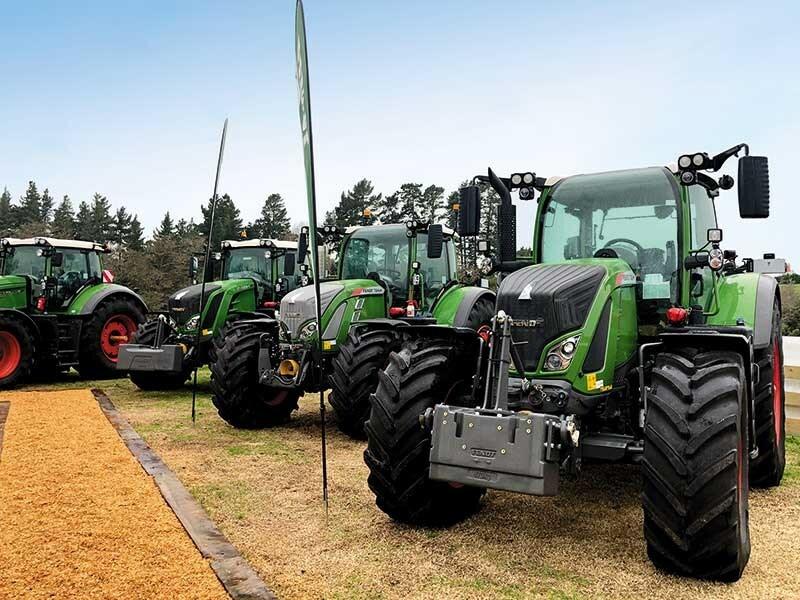 Alongside the 6 Series was the 5E Series and the John Deere range of gators and compacts as well as some vintage tractors. 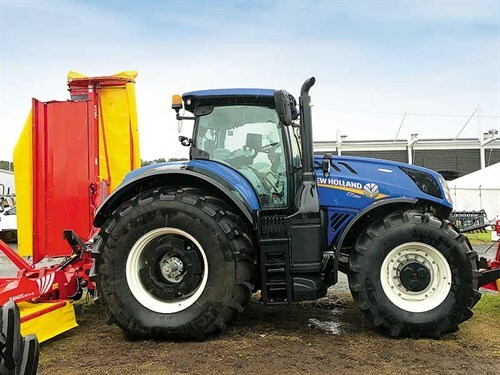 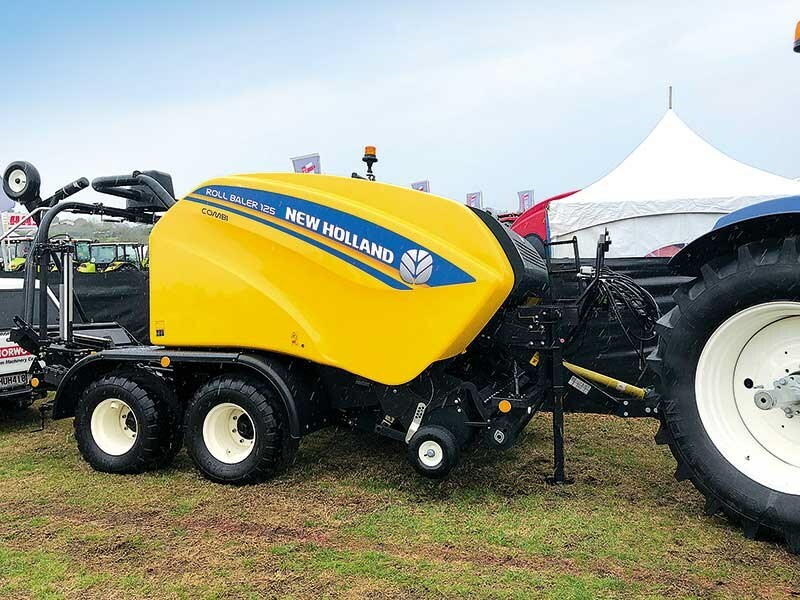 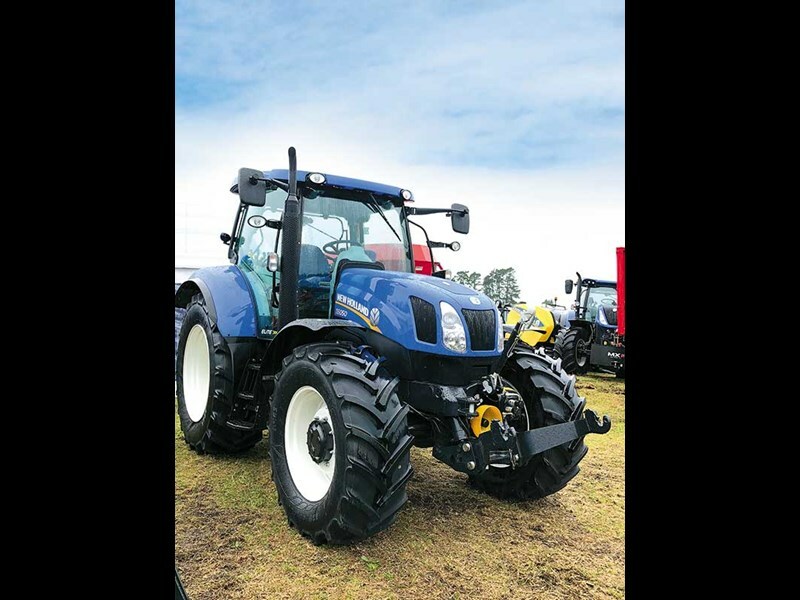 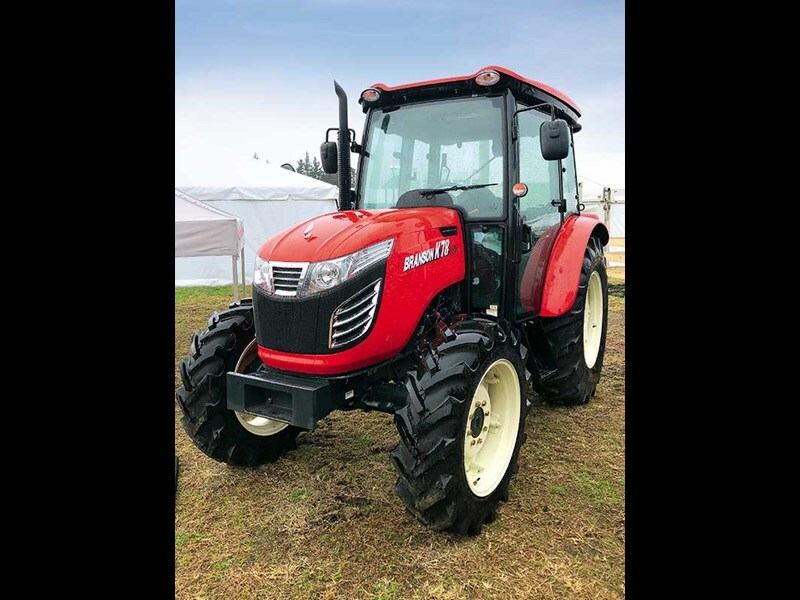 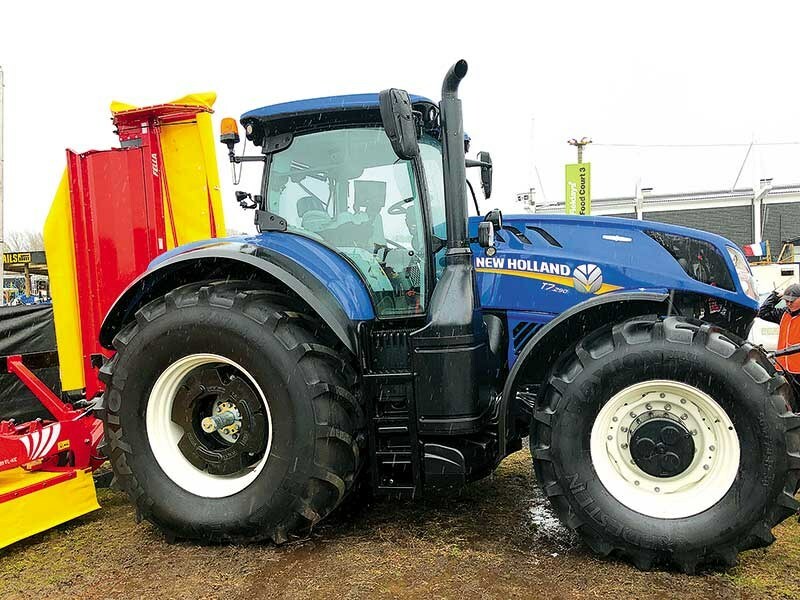 There were plenty of True Blue fans FR Forage Cruiser on- site and the New visiting New Holland at Fieldays for a closer look at the tractor selection (the T6 and T7 were particularly popular), as well as the chance to see the massive Holland police tractor. 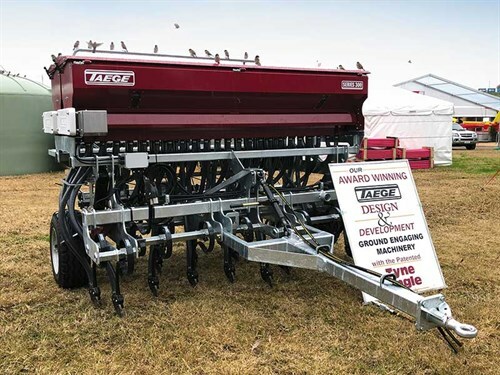 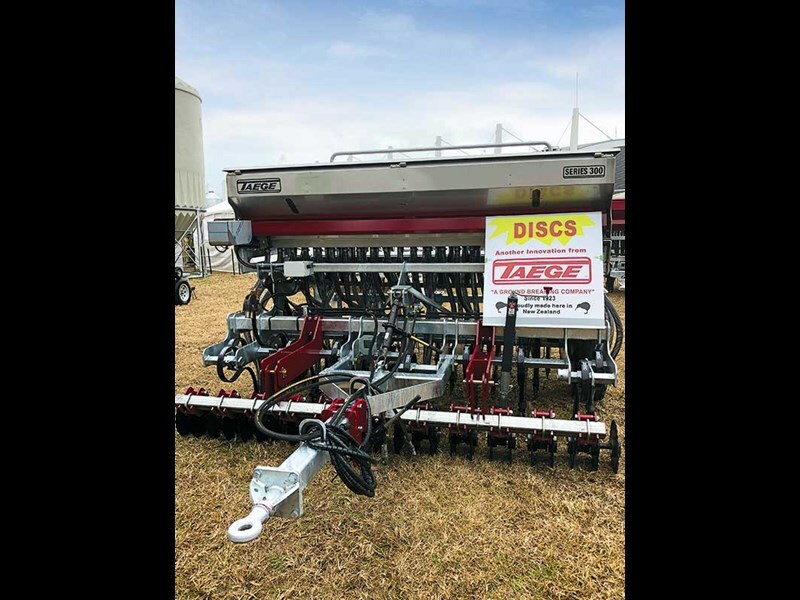 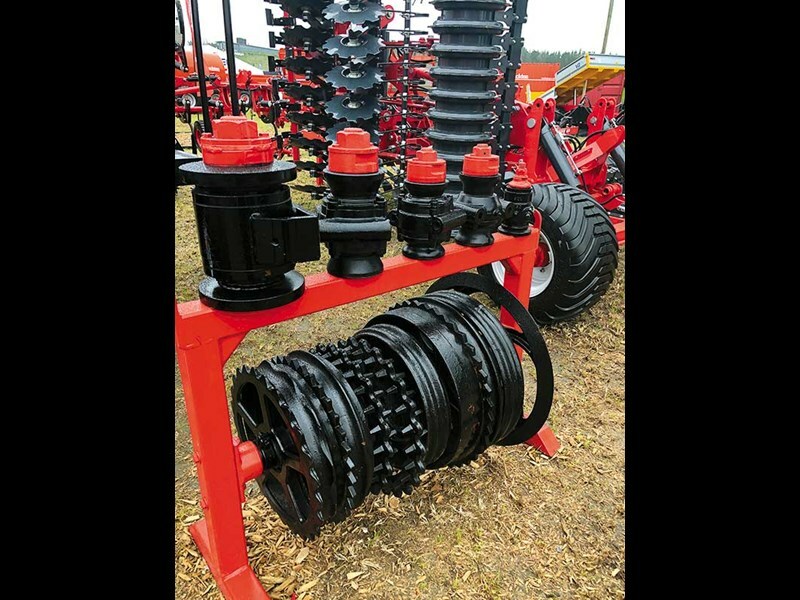 4AG featured an impressive range of heavy-duty gear, including disc cultivators, seed drills, harrows, and tillage equipment. 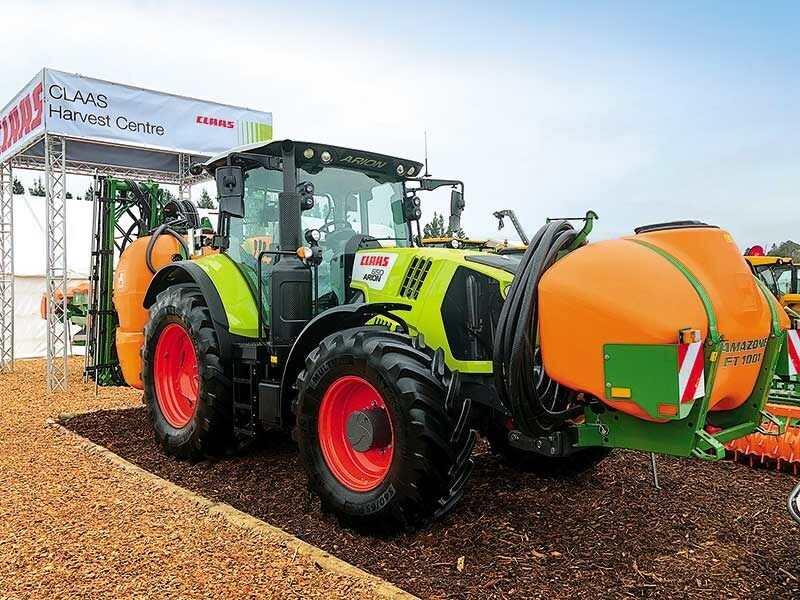 Taking pride of place on-site was the DVi970 heavy offset discs, equipped to cope with the most demanding operations, allowing for maximum penetration and total control. 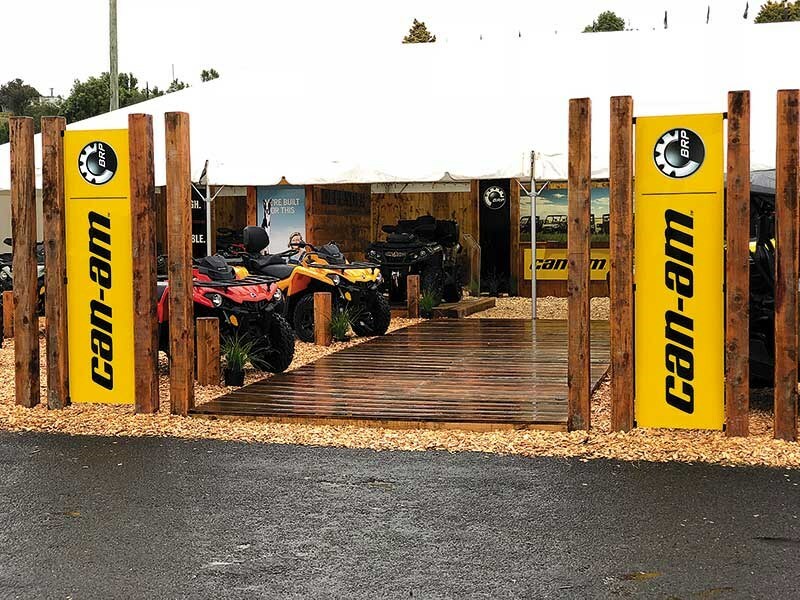 The Can-Am site was packed full of powerful and sporty goodness. 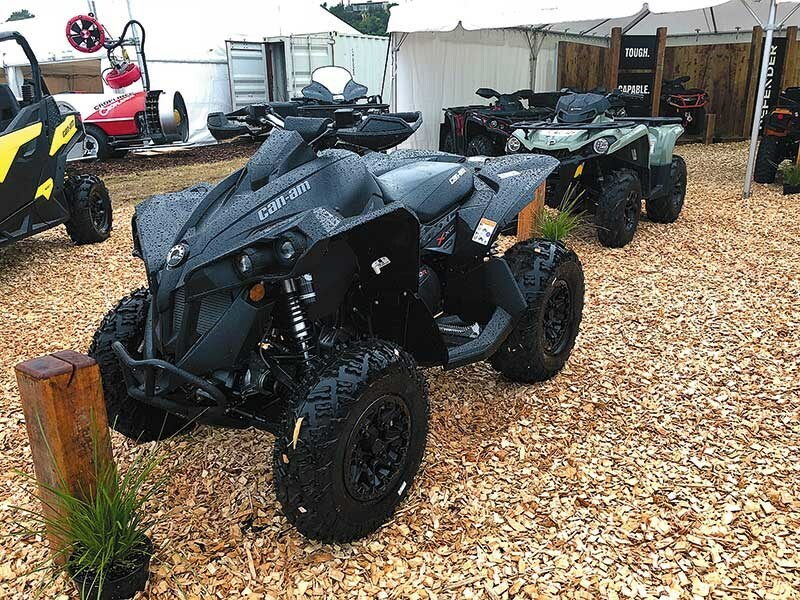 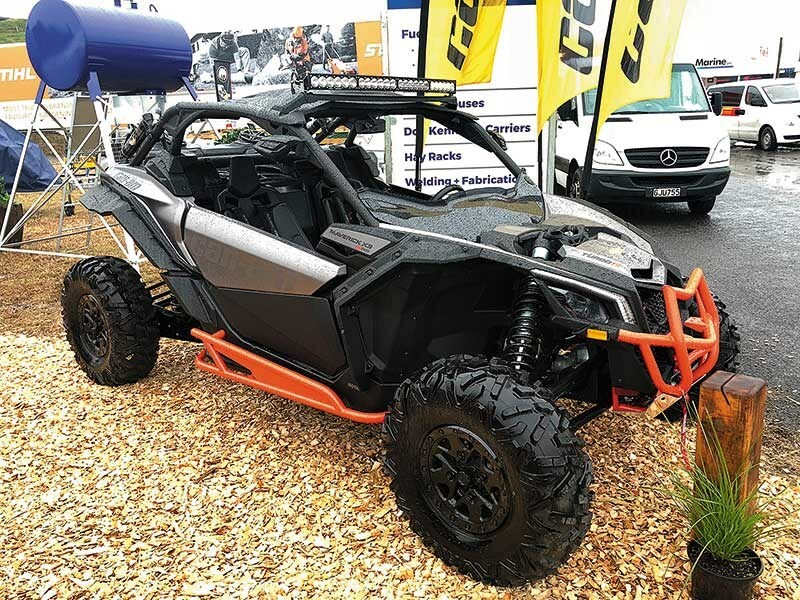 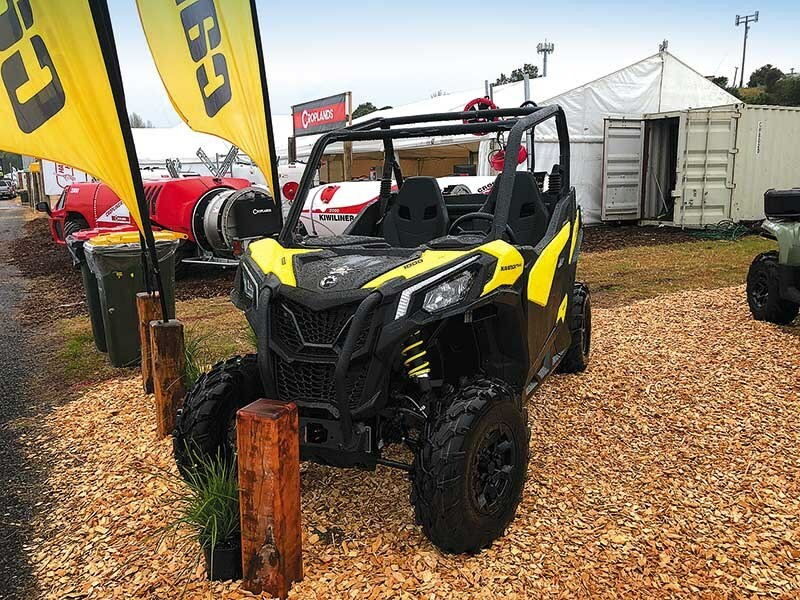 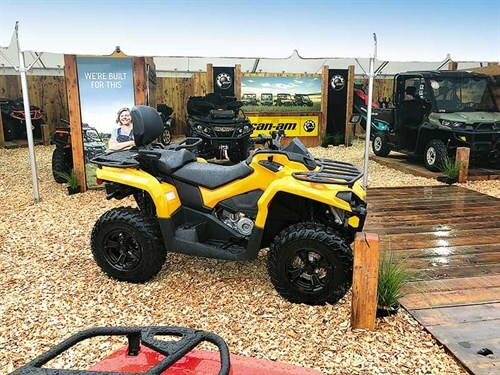 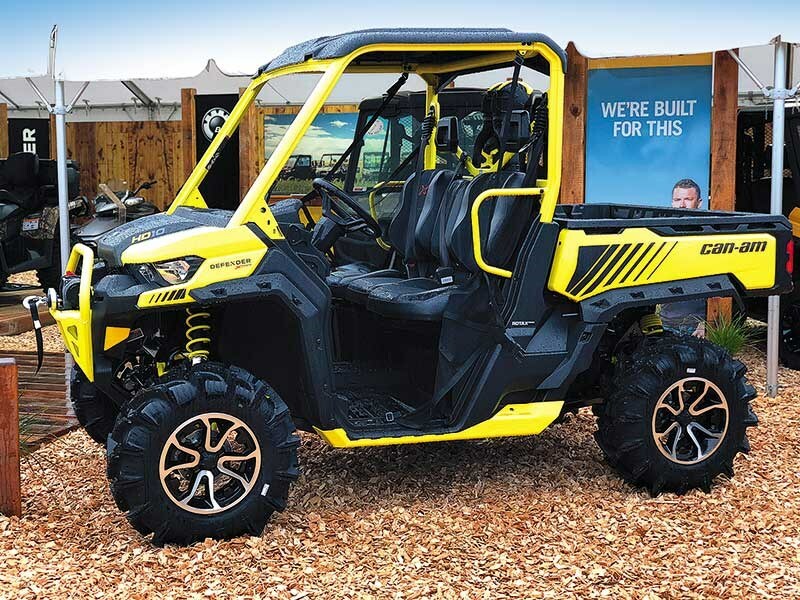 Of particular interest to farmers was the mid-size engine Defender and the Maverick trail, while the rock crawler Maverick X3 attracted both town and rural crowds. 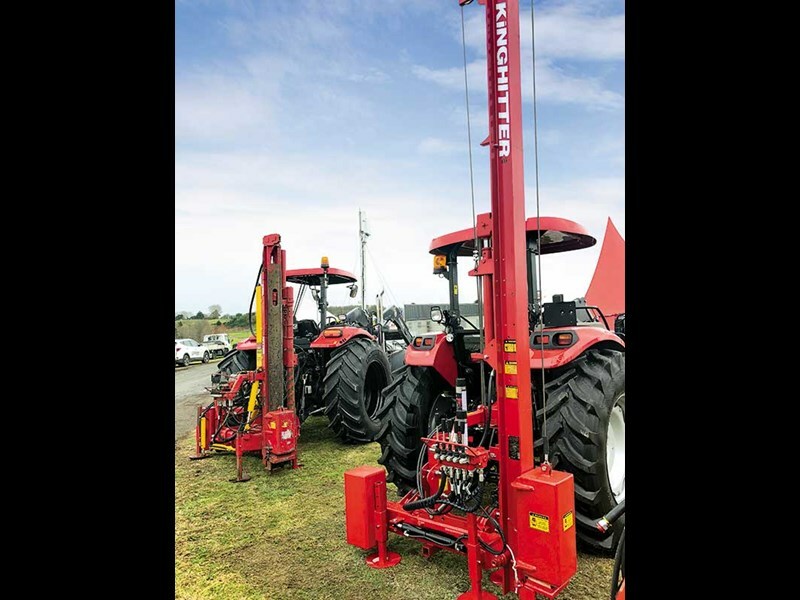 Helping build better quality fences more efficiently was a key focus of Fairbrother Industries, with the full range of Kinghitter machines on-site, including the brand new Series 5 (fresh out of the workshop). 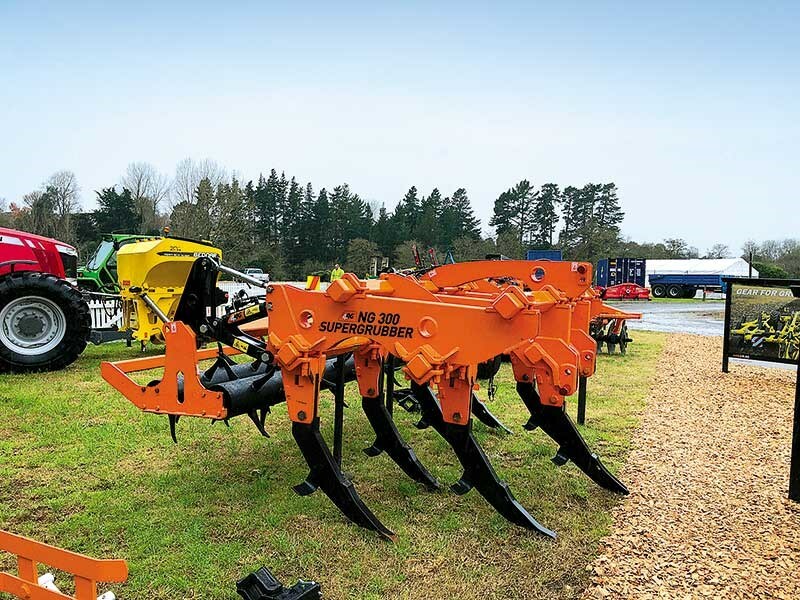 "Designed by fencing contractors, the Series 5 is designed to be efficient, versatile, compact, and simple to use," sales manager Sam Ryburn says.